Bring Your Kids To Enjoy “The Hunt”! The hunt begins at 11 so come early to register! 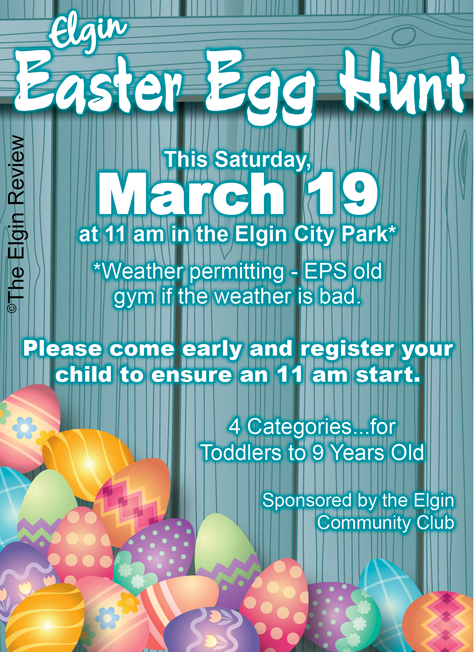 Sponsored by the Elgin Community Club.